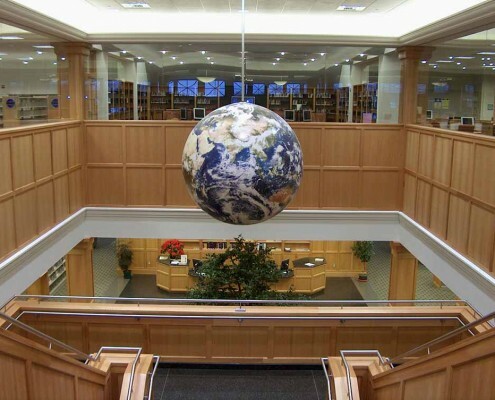 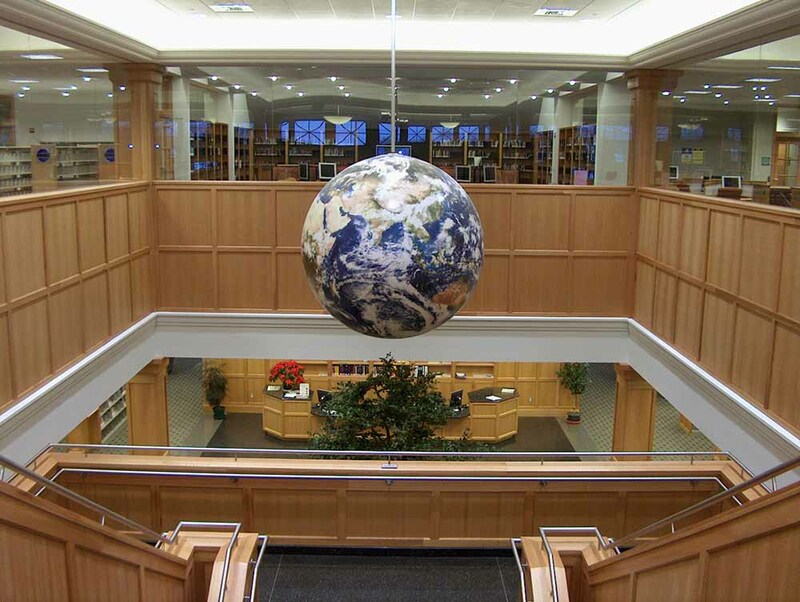 Orbis World Globes has put many EarthBalls for museums and libraries. 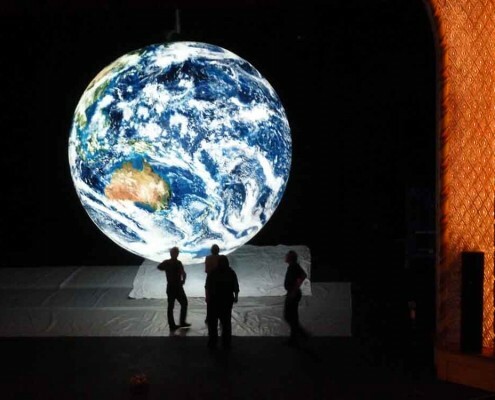 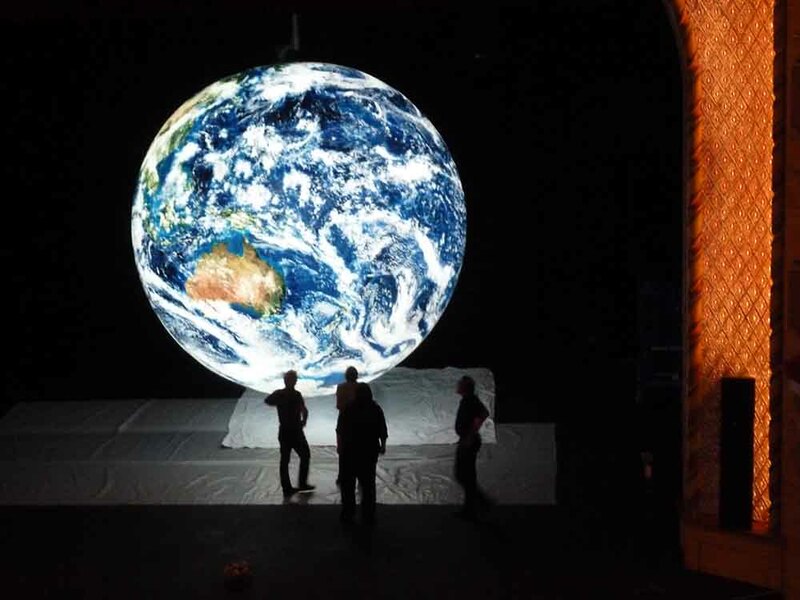 A giant EarthBall creates a highly authentic portrayal of the extraordinary planet we inhabit. 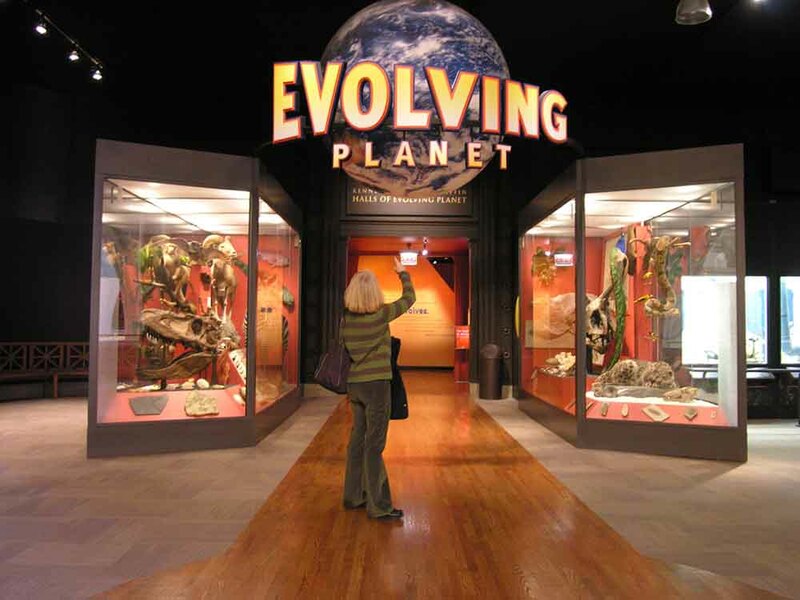 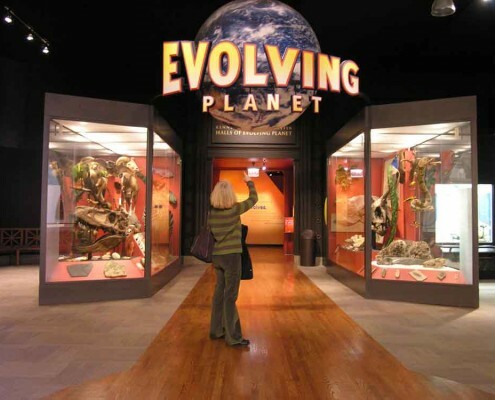 Create a fascinating attraction in museums, libraries, lobbies, atriums, schools and conference centers. 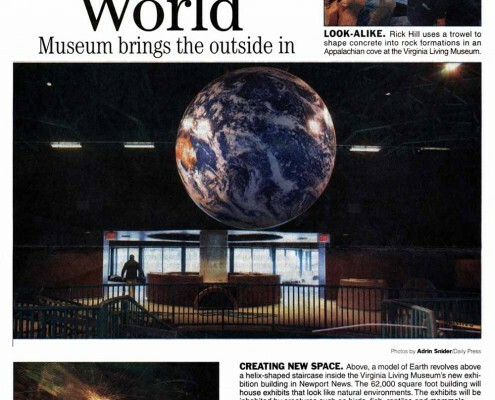 The Virginia Living Museum undertook a $22.6 million expansion project featuring a new exhibits building. 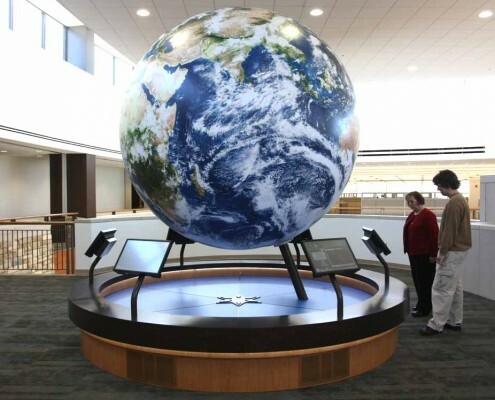 Orbis created & installed a 6 foot diameter rotating globe as the building’s centerpiece. 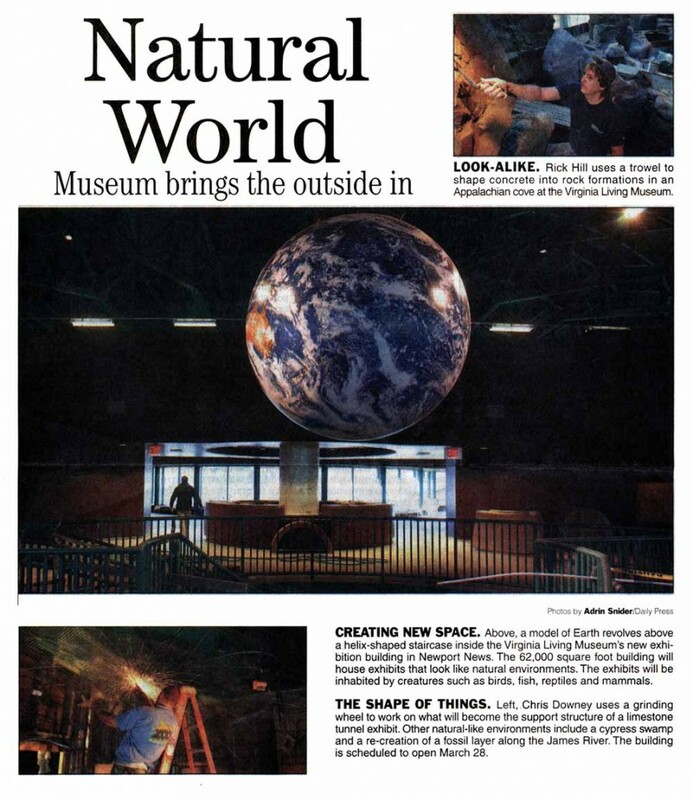 This beautiful world replica is part of the Museum’s educational program serving over 125,000 students annually.